Uruguay is the smaller, unassuming neighbour to Argentina. It feels less brash and macho. There are a lot of similarities between the two like the gaucho culture and the love of all things sweet (especially dulche de leche) but the place just seems a lot more relaxed and together than its next door neighbour. It doesn't feel so edgy and there is no 'blue dollar' and you can withdraw dollars straight from the ATM. Although Chileans, Argentinians and other South American people drink Mate (pronounced Mah-tay), the Uruguans take it to a whole new level. Pretty much everyone walks around town with their mate mug full of herbs (very similar to green tea), silver straw and a full size thermos flask with hot water to add to the leaves. It was funny to observe everyone walking round with them, usually with a joint in the other hand (Cannabis has just been legalised). Ty and I enjoyed hanging out and watching the world go by in Colonia a pretty little old town with loads of cool cars and in Montevideo for a few days. Nice place to visit. Especially if you are a giant alien robot. A rugged white land of snow and ice encircled and defended by the world's roughest seas, Antarctica is truly a spectacular place - a world in hues of blue, black and white but bursting with life. After 2 days at sea we spent 5 days exploring the icy shores, mountains and islands. The weather can change at any moment and landings are frequently cancelled due to dangerous conditions, so we were very lucky to get off the ship for at least two excursions each day. I felt incredibly privileged to see Adelie, Chinstrap and Gentoo penguins, Weddell, Crab Eater, Antarctic Fur, Southern Elephant and Leopard Seals as well as many other types of birds and whales in such a pristine environment. It was fantastic to see the Gentoo penguins porpoising and swimming fast under the surface of the water; they really are incredible birds. Also amazing to think that tiny creatures as small as krill keep the whole ecosystem thriving in such a harsh environment. The icebergs were floating sculptures, huge monuments carved in different shapes. Looking over the side of the zodiac through the crystal clear water I could see how huge the iceberg was under. Every so often we would cruise around looking at them and be surprised and delighted when we found seals resting on the ice. On the one hand, visiting the tiny sample of a few hundred kilometres of shorelines in this finger of Antarctica that reaches north as a sample of the whole continent is a bit like changing planes at JFK to see what life is like in Utah. The vast majority of this highest and driest and coldest and windiest continent is just as unknown to me now as before. Nevertheless, the "bananna belt" of the Antarctic Peninsula with its craggy mountains and jagged coastline is something pretty special in itself. There's not a huge diversity of species here, but there is life - and lots of it. 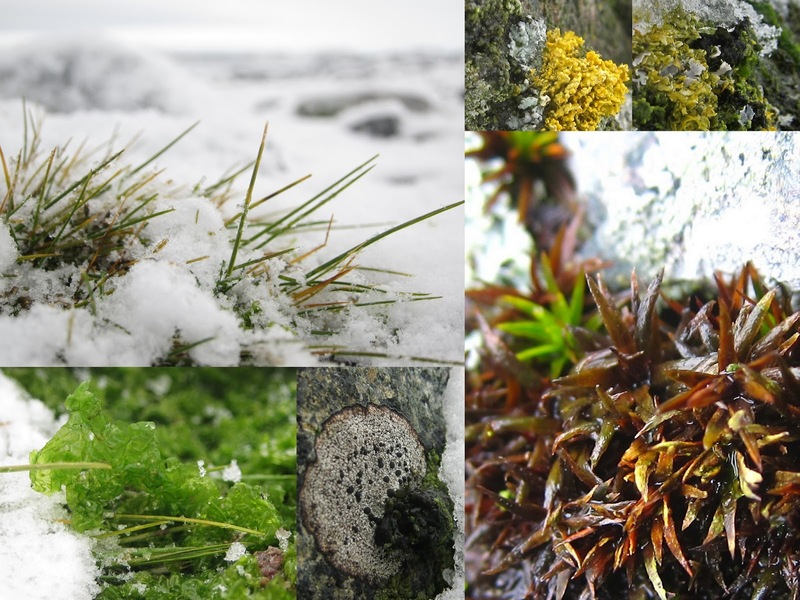 Everything that lives here is so specialised and perfectly adapted to the the environment that it's just amazing to observe in awe how these rugged organisms get on. The journey down through the Drake Passage (up to 40 degrees of roll in 100kph winds in high seas! ), a map of our course, and the expedition team's video compilation... Also check out the Expedition Leader's Log of the Voyage and the Wildlife Checklist.